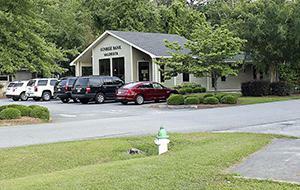 Pisgah Community Bank, Asheville, North Carolina, was closed with Capital Bank, National Association, Rockville, Maryland, to assume all of the deposits. Founded May 15, 2008 the bank had 5 full time employees as of December 31,2012. As noted above, this was one of two banks closed that were controlled by Capital Bancorp. All of the 11 banks controlled by Capitol Bancorp are on the unofficial Problem Bank List and eight are operating under Prompt Corrective Action notices. Citizen-Times.com reports on April 25, 2012: "Thomas 'Ted" Durham, 57, former Pisgah Community Bank president, pleaded not guilty to the bank fraud and money laundering charges at his arraignment hearing and requested a jury trial. "The charges are related in an alleged effort to obtain fraudulent bank loans to finance the stalled Seven Falls development in Etowah. The project's developer, Asheville resident Keith Vinson, 53, is among those facing charges. "The remaining defendants are Avery Ted "Buck" Cashion III, 58, a Lake Lure real estate investor; his wife, Joan Lusk Cashion, 55, a Lake Lure real estate agent and investor; and Raymond "Ray" Chapman Jr., a Brevard real estate investor." The case arrives from the former Bank of Asheville President George Gordon "Buddy" Greenwood found guilty of a fraud scheme involving the failed Seven Falls development, ordered to pay $9 million in restitution, liable for $5.86 million to the FDIC has received for Bank of Asheville, which failed in January, 2001, and $3.25 million to another victim of the bank, as well as serve four years in prison. According to a court brief filed, Greenwood was involved in illegal loans totaling nearly $6.8 million made to developer Keith Vinson, who also faces bank fraud charges, and Vinson's failed Seven Falls development, also named in the former Pisgah Community Bank president case. In addition to the loss in the development, many were what are known as straw loans. Involved were former Pisgah Community Bank officials Robert Craig Gourlay and David G. Smith and minister and real estate investor Nicholas Dimitris. Reportedly Greenwood had been prominent in local banking circles for years. He was appointed president of Bank of Asheville in January 2000. He previously was senior market manager for Centura Bank and was one of three officers in the startup of First Commercial Bank, which later merged with Centura. The Bank of Asheville five branches were closed with the First Bank, Troy, North Carolina, to assume all deposits. Besides many literary and other figures born and raised here, such as the author of many American classics, such as Thomas Wolfe "You Can't Go Home Again." it is also known for the Biltmore Estate, built by George Washington Vanderbilt III with 250 rooms. Over a million visit the historic US landmark each year. The FDIC estimates that cost to the Deposit Insurance Fund will be $8.9 million. The three branches of Sunrise Bank, Valdosta, Georgia, were closed with Synovus Bank, Columbus, Georgia, to assume all of the deposits. 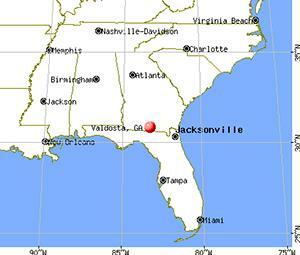 Founded June 21,2006, the bank had 23 full time employees as of December 31,2013 at their offices in Atlanta (acquired 7/30/2010, Jeffersonville (acquired 7/30/2010) and Valdosta. Sunrise was the second closed bank of the day that was controlled by Capitol Bancorp. The FDIC shuttered one in Asheville NC too. The troubled holding company that holds 11 different banks in nine different states. All of the 11 banks controlled by Capitol Bancorp are on the unofficial Problem Bank List and eight are operating under Prompt Corrective Action notices. The Valdosta Daily Times reported August 3, 2010, "Sunrise Bank of Atlanta, Bank of Valdosta and Peoples State Bank of Jeffersonville are now operating as Sunrise Bank. Each had previously operated under distinct charters. Clinton Dunn, formerly the interim CEO and chairman of Sunrise in Atlanta, has been named chairman and CEO of the consolidated bank." "Clinton Dunn was born in Baton Rouge, Louisiana (1947) and received a B.S. degree in Chemical Engineering from Louisiana State University and a MBA from the University of Houston. He is currently the Regional President, Texas and Georgia, with Capitol Bancorp, LTD. Previously, Clinton was Sterling Bank Regional CEO, Dallas and Southwest Houston Regions and held various other banking positions in Houston. Additionally, he has worked in the petroleum industry for Humble Oil and Refining (ExxonMobil) as a Process Engineer." Last year, Sunrise Bank acting President and CEO Richard Cathy said he was "very optimistic" that the bank would raise the needed capital to stay open. Americanbanker.com: "Time is starting to catch up with Capitol Bancorp (OTCQB:CBCRQ)...The failures could tangle the Lansing, Mich., company in what the Federal Deposit Insurance Corp. calls the cross-guarantee liability, meaning that the agency has the ability to charge Capitol's nine surviving banks with the cost of the failures. "The FDIC expects the failures to cost a combined $26.2 million; that kind of hit could be detrimental to Capitol. The company is in a negative equity position and its surviving banks are all in various stages of duress...Last year, Capitol filed for bankruptcy with the hopes of restructuring all of its stakeholders into a 53% equity stake in the company. The restructuring was expected to be paired with a new investor who planned to invest $70 million to $115 million in exchange for a 47% stake. 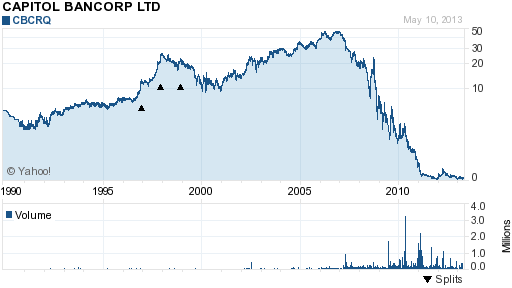 One investor emerged, but later backed out. The company has pushed back the confirmation of its bankruptcy plan several times." 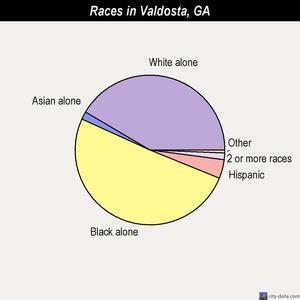 According to Wikipedia, the 2000 census shows 54,518 people, 20,280 households, and 11,876 living in Valdosta. .The median income for a household in the city was $31,940, and the median income for a family was $39,295. Males had a median income of $33,230 versus $25,689 for females. The per capita income for the city was $19,003. About 20.3% of families and 28.2% of the population were below the poverty line, including 34.3% of those under age 18 and 13.1% of those age 65 or over." 2011 statistics shows the city did not grow much: 54,978 compared to 2000 54,518 and the estimated per capital income went down to $17,210 from $19,003 in 2000. "Mean prices in 2009: All housing units: $153,276; Detached houses: $157,092; Townhouses or other attached units: $140,276; In 2-unit structures: $140,944; In 3-to-4-unit structures: $117,718; In 5-or-more-unit structures: $111,020; Mobile homes: $65,256.Median gross rent in 2009: $697." Note below the non-current loan major drop in 2010, as well as the charge offs that began the same year. As of March 31, 2013, Sunrise Bank had approximately $60.8 million in total assets and $57.8 million in total deposits. In addition to assuming all of the deposits of the failed bank, Synovus Bank agreed to purchase approximately $13.2 million of the failed bank's assets. The FDIC will retain the remaining assets for later disposition.